Jelena Jankovic fell to American qualifier, Melanie Oudin in the third round of Wimbledon 6-7, 7-5, 6-2. Jankovic attributed her unexpected loss to the heat, making her feel exhausted and dizzy. 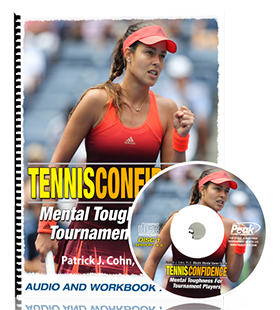 No matter if you are playing under tough conditions or aren’t playing your best tennis, losing can be hard to accept. No tennis player likes to lose. After losing a match, you might become frustrated, which can cause you to lose confidence and motivation. You won’t play every match perfectly. And you won’t win every match either. Losing is part of the game. For Jankovic, losing becomes an opportunity to improve her game. “But, you know, every time you lose, it’s of course disappointing. Nobody likes to lose. It’s tough to accept losses, but you just have to try to learn, you know, from the losses. 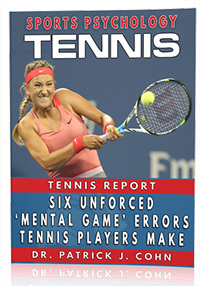 And I think from losses you learn much more be when you’re winning,” said Jankovic. Losing can give you an opportunity to find out which parts of your game needs improvement. If you win a match, you might not look at why you won or what you need to work on. If you lose, you’ll want to get better, which may mean working on your weaknesses. It’s easy for you to beat yourself up after a loss or be overly-critical of your performance. This doesn’t help your confidence. You should wait until your negative emotions about the match subside, which could be 20 minutes later or the next day. Then, look at your performance objectively. You’ll want to think about what you did well during your match. You might notice that your forehand down the line got you out of trouble or that you executed your strategy well. You’ll also want to assess parts of your game you have improved such as your backhand slice or the placement of your second serve. When you think about what you did well, this can help boost your confidence. You’ll also want to look at what you didn’t do well. Where did you lose most of your points? What was your opponent’s strategy? For example, you might notice that your opponent’s strategy was to bring you into the net and lob over your head. You’ll want to find the weak areas of your game and structure your practice to work on those weaknesses. The bottom line is that losing is part of sports. Instead of getting upset and losing confidence, you can look at your losses as opportunities to learn and improve your game.